Very Sensitive Moisture Treatment - effectively hydrating intensive treatment which conditions and softens dry and coarse hair with natural ingredients. Can be used as a deeply moisturizing treatment to provide extra hydration 1 - 2 times a week along with a regular conditioner. Gives shine, smoothness and restores the healthy moisture balance of the hair. No Perfume. Apply to washed, towel-dried hair, leave in for 2 -15 minutes, and rinse carefully. Additional heat can be used to intensify results. Hydrating intensive treatment featuring nature-based ingredients which condition and soften dry and chemically treated hair. 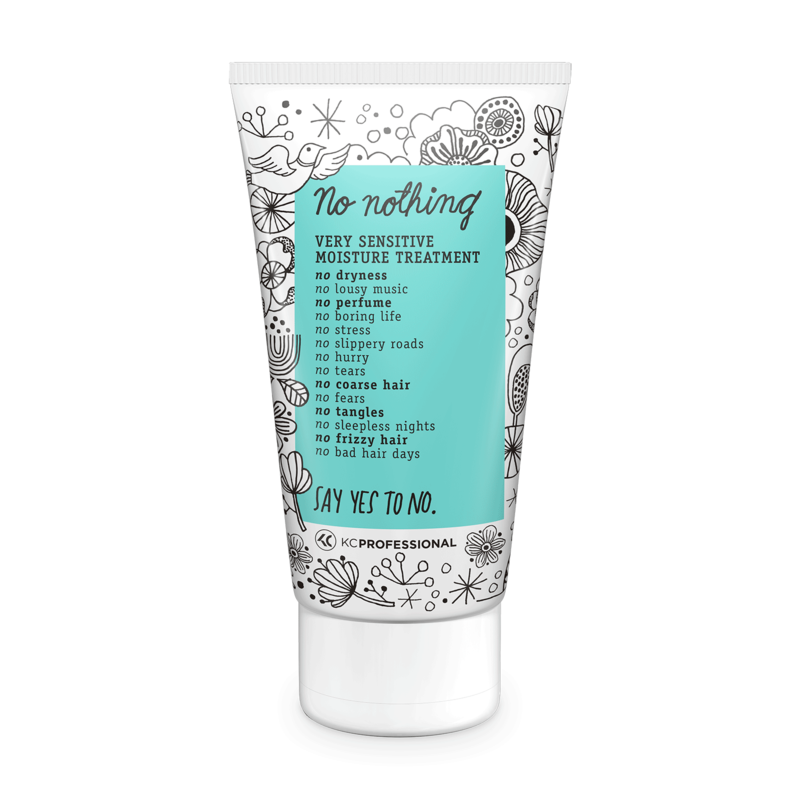 No perfumes, no parabens, no colorants. Aqua, Cetearyl Alcohol, Behenamidopropyl Dimethylamine, Bis-Cetearyl Amodimethicone, Lactic Acid, Dipalmitoylethyl Hydroxyethylmonium Methosulfate, Guar Hydroxypropyltrimonium Chloride, Saccharide Isomerate, Sodium Benzoate, Ceteareth-20, Cetyl Hydroxyethylcellulose, Potassium Sorbate, Citric Acid, Sodium Citrate.